The European Enterprise Promotion Awards (EEPA) are now in their 13th cycle and looking for the next winning projects to take their place in the EEPA hall of fame. The awards launched at the end of January 2019 and all of the National Coordinators are working hard to find worthy projects to compete for the national EEPA titles. In this edition you can find more information on EEPA 2019 as well as all the latest Portal articles answering your EEPA FAQs and providing inspiration for EEPA 2019 candidates. Let us know what you would like to see in upcoming newsletters and on the Promoting Enterprise News Portal and don’t forget to follow us across social media for all the latest updates. That’s a wrap…for the SME Assembly 2018! Last week, from 19-21 November, the SME Assembly 2018 took place in Graz, Austria under the Austrian presidency of the EU. The theme for this year’s Assembly was ‘Connect.Share.Innovate’ and saw delegates, SMEs, startups and key policy makers bridging gaps, sharing skills and laying the foundations for future innovation. We hope you enjoy this edition of the SME Week newsletter where we give you a snapshot of this year’s Assembly, including highlights such as the European Enterprise Promotion Awards final ceremony, and the SME Week Youth Essay Competition. EEPA 2018 – Who is on the shortlist? The time has come, the moment we have all been waiting for…the EEPA 2018 shortlist announcement! Find out which projects have been selected to compete in the EEPA finals at the SME Assembly 2018 in Graz below, and congratulations to all of the 2018 national winners. Thank you to our excellent EEPA 2018 Jury for making the tough decisions, and for sharing all your advice and tips on the Promoting Enterprise News Portal. This month also saw the closing of submissions for the 2018 SME Week Youth Essay Competition. Thank you to all those who took the time to write an essay, and good luck for the next steps. Check out this edition for all the latest information from the Portal and SME related events across Europe and COSME countries. The European SME Week Newsletter, a one stop shop for entrepreneurial news, SME updates and the latest on the European Enterprise Promotion Awards (EEPA) and the SME Assembly. This monthly publication is a chance for you to get an insight into Promoting Enterprise activities, particularly in relation to EEPA and the SME Assembly. Former EEPA winners and key figures from past Assemblies have been featured in previous newsletters and provide exclusive content, calls to action and updates for the publication. The publication also features other updates from European SME Week across European and COSME countries, as well as new developments in SME policy and schemes. Interested in the above? Or maybe you have something to contribute? Get in touch with us and don’t delay…subscribe today! Read the latest edition here and consult past editions here. The Youth of Europe have a voice, plenty of ideas and innovative visions of the future, but how can they make their voices heard? The European Commission values the voices of the future and is proud to announce that the SME Week Youth Essay Competition is back, with a fresh question ready to be answered. Keep reading and visit the News Portal for more information on how to enter. Have a look through this latest edition for all the EEPA updates as well as upcoming entrepreneurial events and remember that we want YOUR stories, so update us for future editions. Welcome to the March edition of the SME Week Newsletter! Today we bring you the latest updates from EEPA 2018, the upcoming Ideas from Europe final and the latest events across Europe in the areas of entrepreneurship, innovation, startups and enterprise. Read on for two special features on the Maltese SME Week, and an exciting initiative for SMEs from Austria, both of which highlight the diversity of the European entrepreneurial community. Interested in learning more? Keep reading and don’t forget to send in your updates and contributions about your latest activities, events and initiatives, to be featured in upcoming editions. 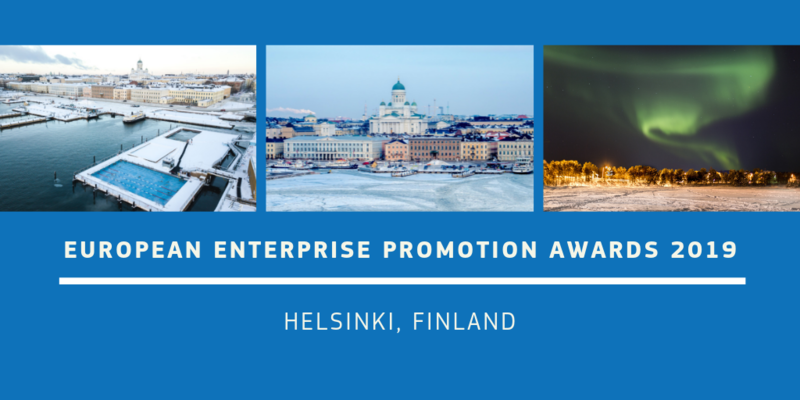 It is that time of the year again, when the European Enterprise Promotion Awards (EEPA) commence and the best projects from all across Europe begin to compete for a place on the EEPA 2018 shortlist.